Brendan Egan grew up in the northern Chicago suburb of Glenview, Illinois. At an early age, he realized he had an entrepreneurial mind and started experimenting with new business ideas as early as 12 years old. Brendan attended high school at Loyola Academy in Wilmette and college at The University of Illinois where he majored in finance and economics. Since graduating from school, Brendan has started a few small businesses, including his current business venture Simple SEO Group. Simple SEO Group is a small online marketing firm focused on helping small to mid-sized businesses improve their online presence through search engine marketing, web development, and additional services. 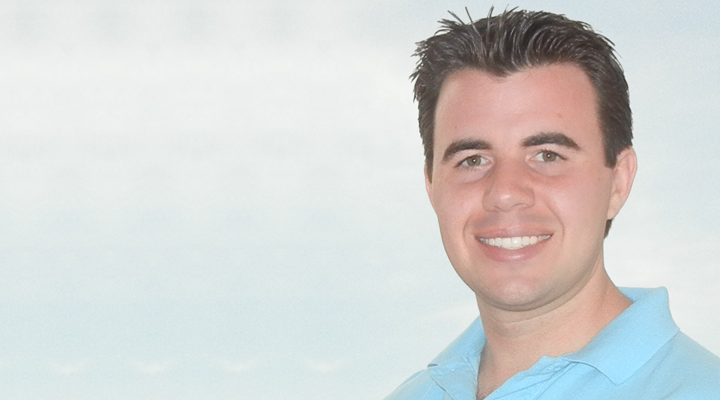 Today Brendan leads strategic online marketing campaigns for his clients, helping them leverage the latest and greatest technologies to improve their bottom line. Over the years, he has developed the knowledge and experience necessary to formulate online marketing campaigns for companies ranging from small start-ups working from home to fortune 500 companies. In his free time, Brendan enjoys spending time outdoors, traveling, relaxing, and taking on DIY projects. I started a small online marketing company; we specialize in developing full circle online marketing campaigns for our clients including search engine optimization, pay per click marketing, web development, and email marketing. I’ve been actively involved in online marketing since about 2007. I actually was inspired in an interesting way. I owned a small online-based business back in 2007, and we contracted numerous online marketing and SEO firms to aid us in driving more qualified traffic to our website. Well, they all failed us miserably, so I developed a team to handle the marketing on our own and we saw fantastic results. I then branched off and started my current online marketing company. How do you earn money? Feel free to be as detailed as you want. In short we charge for our services, either on an hourly basis for small projects and consulting or on a project basis for larger projects and on-going work. We work with a wide variety of small businesses, typically businesses that have between 2 and 25 employees but have also worked with single employee start-ups as well as some of America’s largest corporations. I don’t usually have a “typical” day simply because I wear many different hats. Depending on the day I may have a day full of conference calls with clients and prospects, face to face meetings with clients and prospects, or be in the pits doing leg work to help progress along campaigns for our clients. I typically work a Monday-Thursday work week from about 7:30am until about 9pm, but have been known to burn the midnight oil or work through the weekend. Yes, yes, and yes. Over the years I’ve developed some great contacts, learned from some mistakes, and have found what I think is the best way to currently service our clients in the best way possible while still keeping our bottom line in mind. Everything online marketing is moving towards higher quality. The number of websites on the internet is exponentially growing year after year, so as we see this change in the internet we’re continuing to see a need for highly strategic campaigns and high quality work. I think much like any business, the biggest challenge I’ve faced is getting things off the ground and running. It can be tough to start a business and have no clients, no case studies, no testimonials, and no results yet still try to attract clients and compete with companies who have been doing this for years. Thankfully through hard work, dedication, and some great deals we were able to get the company through the initial growth phases and to a much more comfortable place. All of the above. First off I learned early on in life that my thought process and personality wasn’t meant for a normal 9-5 corporate job, so I love being my own boss and making up the rules. With any successful venture, financial success can be a driving role but over time becomes a secondary factor. I think the number one motivator for me is doing good work and pleasing our clients. At the end of the day, I like to see that the work we do really matters in helping business grow online. I get very frustrated by fly-by-night and low quality online marketing firms. It’s the reason I got into this industry and is something that makes my job much more difficult because people immediately have distrust for online marketing companies. I deal with it by being the best we can be and publishing true, unique case studies on how we help our clients. This is something a low quality firm will never have. I love watching Seinfeld, King of the Hill, and The Office, but beyond that I find myself laughing at things I do more than anything. I try to look at the long term and remember that long term success is always going to be a bumpy, up and down path. Few things are a smooth ride but I try to look at the overall trend to stay motivated. To be honest I usually don’t. When I have an idea, it’s usually the flood gates open and I work on perfecting it no matter what it takes. I have a good support network to bounce ideas off and get advice, but beyond that I usually look to past experiences to try and derive the best way to proceed. I hope to continue to grow the business yet stay small enough to maintain the high quality we deliver for our clients. I think the nature of the business just isn’t scalable and won’t maintain the same high quality we focus on if we grow too large or grow too quickly. What are your biggest pet peeves in business? Yes, www.SimpleSEOGroup.com/contact or through http://brendanegan.com/. Lastly, are there any books you would recommend to our readers? Well, this is not a business book by any stretch, but I recently watched the movie “50 Shades of Grey,” and I’m planning to buy the book for my girlfriend for her birthday.